Had some free time to create a proper layout for another fuzz. This one has 2 separate fuzz circuits – one Silicon based and one Germanium based – that can be blended together. 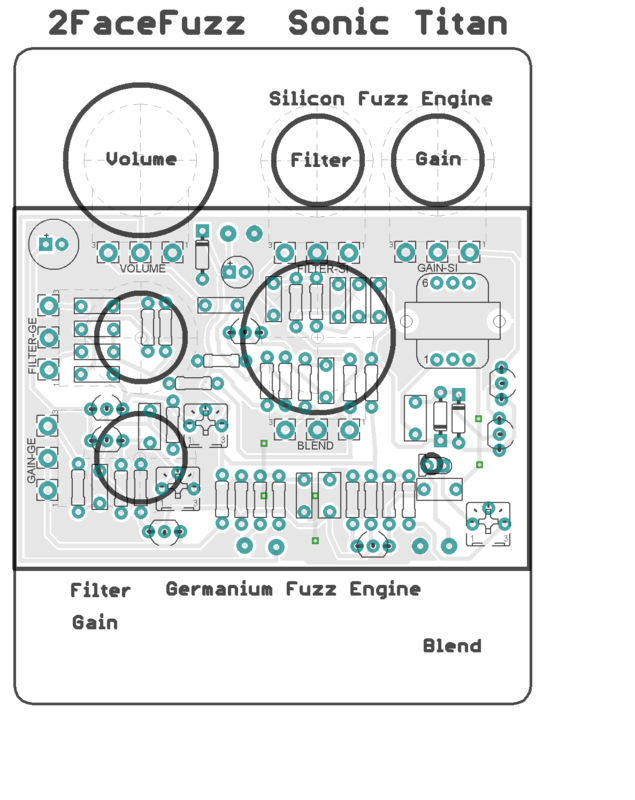 Each fuzz has a separate Tone (Filter) and Gain control. The circuits aren’t straightforward either. Couple of interesting things going on. The Silicon side has a transformer to preserve the awesome when active pickups are used. The different primary and secondary coils try to reproduce the response of passive pickups. It also uses the transistors in a non-selective frequency tripler (to use the technical terms). The Germanium side has some reverse bias stuff going on, but nothing too crazy. This entry was posted in Fuzz. Bookmark the permalink.